Ruth Kleinpell PhD RN FAANP is currently the President of the Society of Critical Care Medicine (SCCM) and the Director of the Center for Clinical Research and Scholarship at Rush University Medical Center and a Professor at Rush University College of Nursing in Chicago Illinois. She is certified as an Acute Care Nurse Practitioner and maintains active practice at Mercy Hospital and Medical Center in Chicago IL. 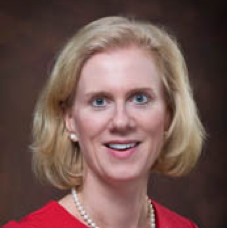 She served on the Surviving Sepsis Campaign Guidelines Update Committee and is a board member of the Society of Critical Care Medicine, a fellow in the American Academy of Nurse Practitioners, the American Academy of Nursing and the American College of Critical Care Medicine. She is currently serving a two year term as President of the World Federation of Critical Care Nurses, an international organization with 40 country members representing over 400,000 critical care nurses worldwide.